*Note, this recipe cannot be adapted. That being said if you are able to eat nuts and eggs please give this a go! It’s a nutritious and delightful little morning cake. I was in LA a few weeks ago, part work and part play. It was a middle stopping ground between a huge food show in Anaheim and a weekend in Napa. How nice to spend 9 days in sunny California! When I am in LA I stay with my lovely friend, Laura, and her husband. She does what I do just in LA so naturally we geek out on food and cooking. We spend the days writing menus and dreaming up businesses together. We drink fermented beverages and snack on raw sprouted things. One of the best parts of staying with her is that every morning when I get up, she has already been in the kitchen for some time. So when I pop downstairs she usually has some sort of lovely plate ready for me to nosh on to get my day started. 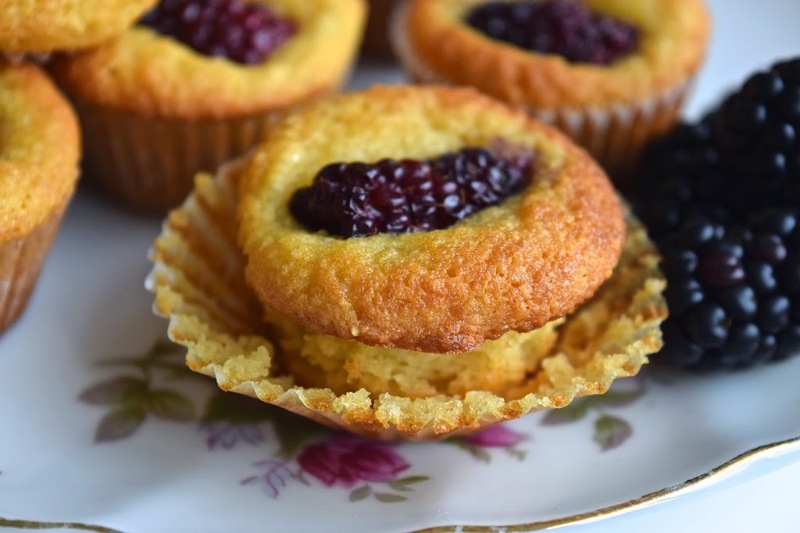 One morning I woke up to a beautiful cup of dandelion tea and this gorgeous little muffin studded with juicy blackberries. After one bite I knew I would have to recreate it at home. Gluten free and even grain free, it had the zip of lemon running through it, the slightest hint of almond all with a gorgeous blackberry on top ready for me to bite into. So, here you go lovelies. My rendition of Laura’s beautiful muffin. Take her inspiration and greet your loved ones with some of these tomorrow morning! 2. Whisk the eggs in a medium bowl and add the honey, warmed coconut oil, lemon juice and almond extract. 3. In another small bowl whisk together the almond flour, coconut flour, baking soda and sea salt. Add the dry ingredients to the wet and mix together until combined. 4. 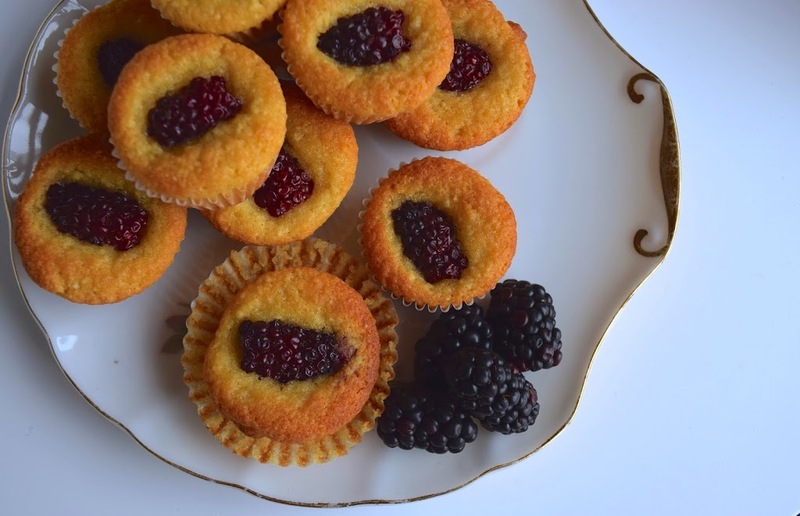 Evenly scoop into the lined muffin tin and then top with a few blackberries. 5. Place in the oven and bake for 24-26 minutes until lightly golden brown and springy to the touch.